Home Tips and tricks Tutorials Windows tricks Stop Unnecessary Services Making XP boot faster ! Stop Unnecessary Services Making XP boot faster ! Windows XP that you may not use at all. You can peruse the services and disable any service that you do not want to run. The fewer services that run, the more quickly Windows XP will boot.To reduce the number of services that start on bootup, you can access two different areas of Windows XP. The first is the System Configuration Utility. You can do that by entering the command “msconfig” in the run menu. The Services tab shows you the services that start when the computer boots. You can stop a service from starting by simply clearing the checkbox next to the service and clicking OK. However, before you do so, there is another way to disable services that you may prefer because the interface gives you more information about the service in question. Automatic Updates: This service enables Windows XP to check the Web automatically for updates. If you don't want to use Automatic Updates, you can disable the service. DHCP Client: If you are not on a network, you do not need this service. If you are on a small workgroup, you can still increase boot time by configuring manual IP. DNS Client: If you are not on a network, you do not need this service. Help and Support: Disable if you never use the Windows XP Help and Support Center. IMAPI CD-Burning COM: This service enables you to burn CDs on your computer. If you never burn CDs, you can disable the service without any second thoughts. Windows Firewall/Internet Connection Sharing: If you do not use these features, plz disable. System Restore Service: This service allows you to use System Restore. If you have turned off System Restore anyway, you do not need to turn off the service. Windows Image Acquisition: If you do not use scanners or digital cameras, you can disable. 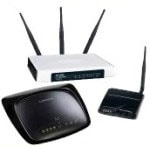 Wireless Zero Configuration: If do not use wireless networking devices, you can disable.